In 1950’s Baltimore, the bread man, the milkman, salesmen, and creditors sold their wares and collected what was owed, in person. Helena Sinclair was expecting Evan Monahan, North American Beneficial Life and Casualty Insurance Company’s top agent, to collect the May premium on the life insurance policy she had on her husband, Russell. The only problem was she did not have the money, and she was frantic. Helena was obsessed with life insurance and feared if anything happened to the love of her life—heaven forbid—she would be destitute like some of her neighbors and church members who had lost their breadwinners. But it was getting harder to pay the premium since Russell had started gambling and spending a lot of time at the Oasis, a neighborhood bar. Evan, who Helena called the gray-eyed monster, had a solution to her problem. Reluctantly, Helena accepted Evan’s help, but as it turned out, he wasn’t who he presented himself to be. Billie Cunningham is a precocious eight-year-old when her mother, Lilly Ann, decides to move from rural South Carolina to Baltimore in the 1940s to secure a better life for the two of them. This new security involves the beautiful Lilly Ann’s marriage to Herbert Brown, a man twelve years her senior, and although Billie has to leave her beloved grandmother, Gertie, she is excited to uncover the marvels of life up North. And, at first, Baltimore is a wonderful place of discovery for Billie. She loves her new school, joins in the antics of Carletha, her rough-around-the-edges cousin, and is surrounded by the supportive love of her Aunt Wilma and Uncle Larry. But Billie and her mother quickly discover that their new life has come with a heavy price. For Lilly Ann, it means turning a blind eye to her husband’s hedonism and passion for forbidden fruit, and, for Billie, it means harboring a dark and shameful secret. Despite her secret, Billie grows and matures in her new world, and she develops a close bond with Thomas McNeal, Jr., a neighborhood boy fighting his own demons. She also discovers that her connection to her grandmother transcends location, but unbeknownst to Billie, the mysterious and clairvoyant Gertie—a witch, to some—has been carefully protecting her throughout the years. Over time, Billie’s and Tom’s friendship develops into a love that is constantly threatened by their individual pain and the realities of changing lives and impending adulthood. As they struggle with the complexities of their on-again, off-again relationship, and of adult life in general, Billie and Tom soon realize that they must first discover themselves, and reconcile their pasts in order to heal and truly have a future—whether together, or apart. 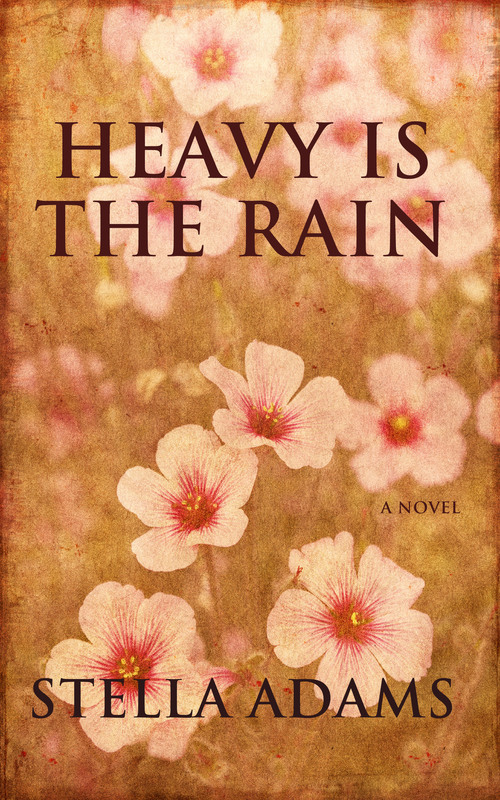 Set against the backdrop of Baltimore and South Carolina, and filled with a rich cast of characters, Stella Adams’ Heavy Is The Rain is equally haunting and uplifting as Billie and Tom navigate the uncertainties of life, learn how to overcome its tragedies, and discover the power of love and forgiveness. I invite you to read the first chapters, to let me know your thoughts about the book, and to share your writing journey as I take mine.